Create an excellent presentation of your business using this adaptable multipurpose template. 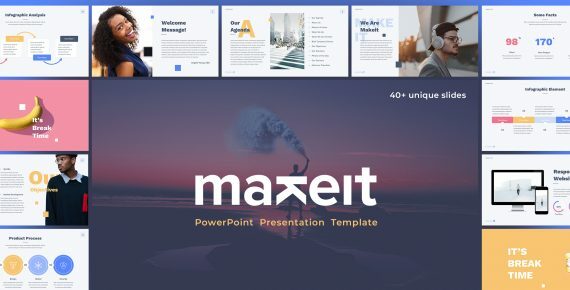 Makeit is a clean, adaptable, and scalable multipurpose PowerPoint Template which was specially made to present your business to potentials clients in an elegant way. 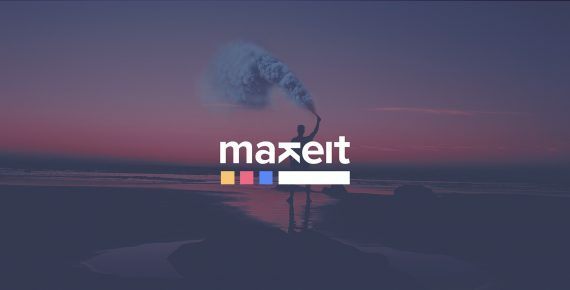 Makeit has 40+ slides with content (general information, handmade infographics, data charts, section breaks, map, timeline etc). It’s easy to change colors and modify shapes, texts, and charts. Download folder consists more than 40+ slides. All slides are properly designed, so it takes you a moment to find necessary layer and edit it. The file structure is fully prepared to make the editing process more easy for end-users. This presentation template is designed based on Full HD resolution (16:9). We recommend to download and install these fonts before editing your PPTX files. How to edit a Presentation PowerPoint Template? All images have been removed from this template and you will see image placeholders indicating the place where you can add images. 1. To add an image, delete the image placeholder, just click on the image icon and choose your image. 2. If the image goes on top of other elements on the page, fix this by right clicking on the image and choose Send Back from the list of the options. How can I edit the data chart? 1. Select the chart on the slide that you want to change. The green Chart Tools contextual tab will appear at the top of the PowerPoint window. If you do not see the Chart Tools tab or the Design tab under it, make sure that you clicked the chart to select it. NOTE: The Design tab under Chart Tools is not the same as the default Design tab in PowerPoint. The Chart Tools tab appears only when a chart is selected, and the Design, Layout and Format tabs under it provide different commands related only to the selected chart. 2. Open “Chart Tools” section in the “Design” tab in the “Data” group and click “Edit Data”. Microsoft Excel will open in a new window and display the worksheet for the selected chart. 3. In the Excel worksheet, click the cell that contains the title or the data that you want to change, and then enter new information there. 4. Close Excel file. PowerPoint refreshes and saves the chart automatically. Can you customize or create a unique presentation for me?